I have the same doll in my collection(the larger one in the picture)~ The doll was dressed up and used at a bridal shower for my grandmother before she was married. 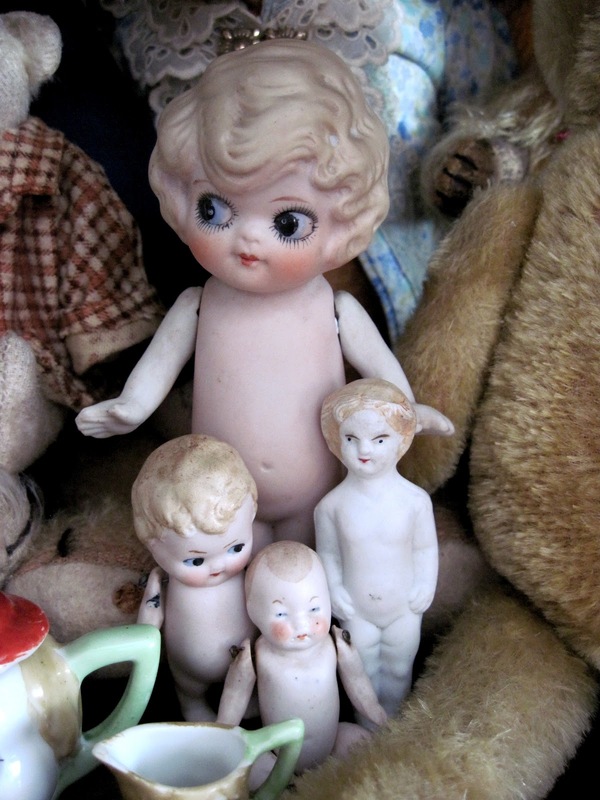 That larger doll in the middle is up to something. Better watch her! I think it looks like she just smacked the little fat doll in the back of the head. I kept being drawn to a doll on ebay because her face seemed familiar somehow but I just couldn't remember where I'd seen it. Then I remembered it was here...of course. Thanks: dolly and I are flattered to be so remembered! Did you end up buying her sister on ebay?